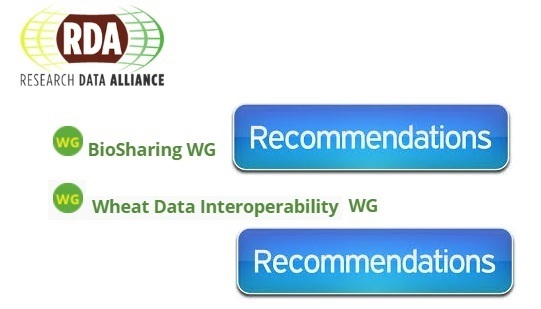 24 July 2017 - The Research Data Alliance (RDA) announced the official publication of its first 4 Recommendations as ICT technical specifications for referencing in public procurement as per Article 13 of Regulation 1025/2012 on European Standardisation on information and communication technology (ICT) technical specifications. ... is the cornerstone of the Digital Single Market initiative, ensuring compatibility between systems and guaranteeing the competitiveness and the openness of ICT markets [see: Identification of ICT specifications]. ICT technical specifications are not referenced as standards, but are an agile tool for the European Commission to address the constantly evolving technology in ICT markets, and to realize its ambitious plans of building the European Open Science Cloud. An expert advisory group, the European Multi Stakeholder Platform (MSP) supports the European Commission in the process of the selection and evaluation of ICT Specifications and in defining the future priorities. RDA Europe, the European plug-in to the global RDA, has carried forward the evaluation, approval and publication of the 4 Recommendations as ICT specifications and is currently working on the submission of a new set of 5 Recommendations for autumn 2017. - produced by the Data Foundation and Terminology WG, ensures that researchers use a common terminology when referring to data. - published by the Data Type Registries WG provides machine-readable and researcher-accessible registries of data types and a common data model to be applied for making data accessible and accurately re-usable. - produced by the PID Information Types WG, a conceptual model for structuring typed information to better identify PIDs, common interface for access to this information. - produced by the Practical Policy WG, can be used to enforce data management, automate administrative tasks, validate assessment criteria, and automate scientific analyses. It builds the trust needed to foster data sharing. envisioned as social and technical bridges because they connect different systems, communities, tools etc. and generally take the form of technical specifications, data and reference models, recommended practice and harmonization of existing standards.